Depending on what state you live in, Tax Day was April 10th, 15th, 18th or 19th this year. Really? It’s bad enough that our tax code is so damn confusing and even worse, half Americans don’t even pay taxes (if you are reading this – sorry but you are the half that does) but now we get a multiple choice question on what day is tax day! As a commercial real estate professional, you probably had 1 of 2 reactions when filing/extending your taxes and looking at how much you earned in 2015. 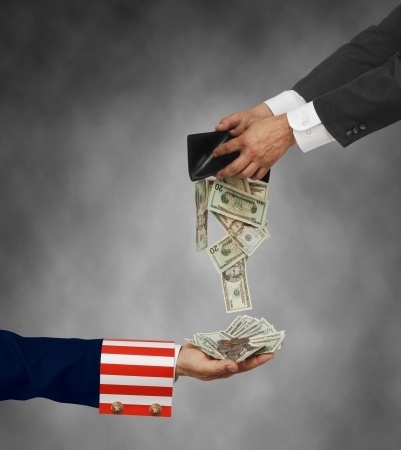 Yes, Tax Day is not only about paying the man, but also provides a black and white slap in the face regarding your earnings or at least your claimed earnings. Here’s the worst of it: if you did not earn what you wished in 2015, then you earned what you deserved. See my prior blog regarding Nido Quebin. If you want to earn more in 2016, then you need to change. And that brings us to the 2nd possible reaction. Regardless of what you earned, you definitely paid too much in taxes. Heck, we are all paying too much in taxes. Want to make more money and reduce your tax liability? Invest in yourself. Get a designation, take some training course, or, yes, hire a coach. Coaching is proven to create the greatest income and ROI of these three options. But if you really can’t get yourself to hire a coach, at least do something! The point is, instead of investing in the stock market that generates 5% on a good day, and you only get to write off your losses – invest in something that creates an unmatched return – you! Want a nice tax write-off on an investment that will have a better return than the stock market, the real estate market, and the latest must-have public offering? Then invest in your greatest asset – you. Find out more by clicking here. Want to learn specific, proven strategies and tactics to transform your CRE business, and ultimately, your life? Join us for a free live webinar on April 26th at 2:00 PM Eastern.